When one makes a purchase of a brand new smartphone, chances are we would follow that up with a crucial accessory – that of a protective case, of course. Having said that, Native Union figured out that new iPhone owners might want something a whole lot more tough than the cute looking (but not really functional, protection-wise) cases that are out there in the market – hence, giving birth to the CLIC 360° that delivers drop-proof protection for the iPhone. In addition, it does so without having to bulk up, which is something else entirely, now how about that? 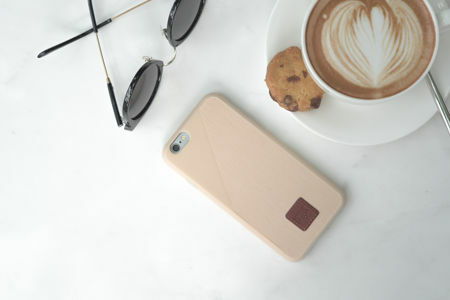 The CLIC 360° is a slim and lightweight case for both the iPhone 6 and iPhone 6 Plus, where it boasts of military grade, drop-proof protection crafted from original British Millerain waxed canvas. How does it work its magic in the event of a drop or knock? There is an internal 3D rubber mesh and shock absorbing screen bumper that will work together in order to absorb and disperse energy away from your iPhone should it be dropped, hence giving it 360° protection, which you can pretty much tell by its name, too. The case itself is made with original British Millerain fabric, which is touted to be the world’s most premium waxed cotton, and it also carries the properties of being water-repellent, stain resistant and durable. Other features of the CLIC 360° include interior protection forged with new technology inspired by the footwear industry, a double injected frame that has been specially engineered to give optimum protection, absorbing and dissipating energy when the phone is dropped, a 360 degree bumper fully protects your phone screen, and it has also been military drop tested to provide you with the best possible peace of mind. You will be able to select from five seasonal colors for iPhone 6 and iPhone 6 Plus: Marsala, Midnight Blue, Champagne, Moss Green and Charcoal, and the case itself will not detract from either iPhone’s base design and dimensions too much with dimensions of 141mm x 70mm x 1.8mm. The asking price for the CLIC 360° from Native Union? $39.99 each, which ain’t too shabby at all considering the amount of protection you’re getting in exchange.